Rishikesh, The world capital of Yoga, is one of the holy cities in India. It is known as the gateways to the Himalayas and the starting point for traveling to Char Dhaam pilgrimage - Badrinath, Kedarnath, Gangotri and Yamunotri. It is the place where river Ganga leaves the Shivalik mountains in the Himalayas and flows out into the plains of North India. It has many yoga (meditation) centres attracting thousands of devotees, pilgrims and tourists thoughout the world. 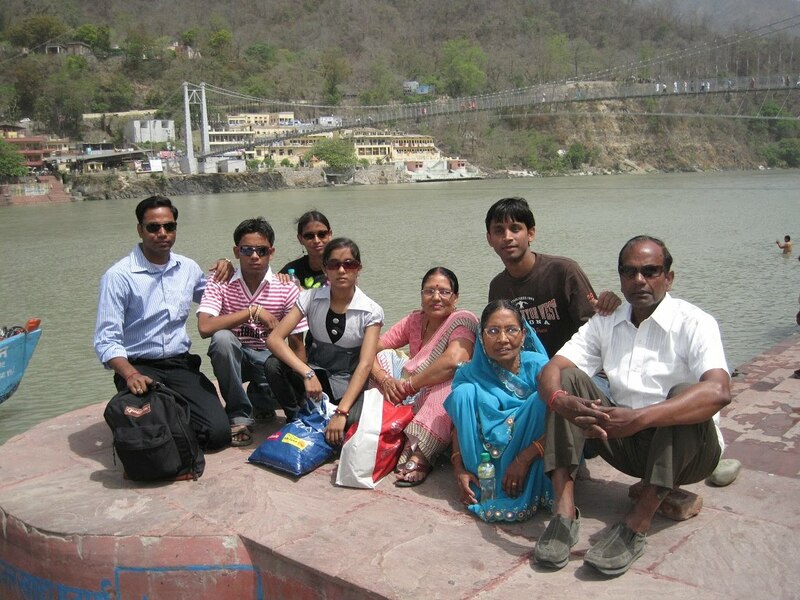 Rishikesh is ideal destination for religious, wildlife, nature and adventure lovers. Prominent band, The Beatles composed nearby 48 songs during their stay at Rishikesh. Triveni Ghat: It is believed that three mountain streams flow together on this spot making the ghat(bank) more sacred, and famous all over. 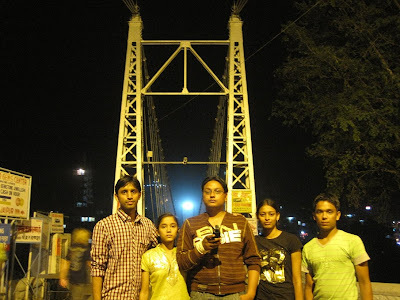 The Ganga Aarti performed at dusk at the Triveni Ghat is popular with visitors. Anyone can enjoy the holy ritual - releasing tiny oil lamps on flower bedecked leaf boats and let them float down the river. The depiction of Geeta Saar is eye-catching specially at the eve, where Lord Krishna explaining Geeta to Arjuna at the lighting chariot. Another one is the prototype of Shiv-Parvati being at Himalaya. Nearby is the Rishikund or sages's pond. Ram Jhula: This bridge is similar in appearance as Lakshman Jhula. You can enjoy the boating near Ram Jhula and have a bathe at the nearby ghats. Geeta Bhawan is the oldest temple in the nearby area. The famous Indian epic the Ramayana and the Mahabharata are scratched here on the walls. It also houses an Ayurvedic dispensary and shops selling khadi and religious literature. Similarly Parmarth Niketan is another most renowned temple and ashram in this area. The ashram organises excellent Ganga Aarti, hawan and other proceedings on the Parmarth Ghat at every evening. You can also have lunch and snacks at the famous Chotiwala, who run their restaurants in a funny and innovative way presenting some Chotiwala person at their gate. 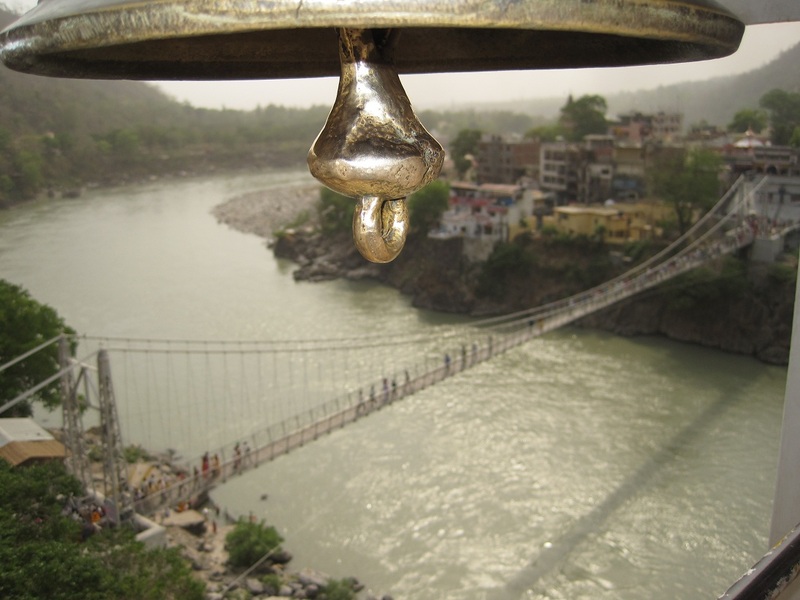 You can enjoy a plesant 2 km walk from Ram Jhula to Lakshman Jhula alongside flowing and breezing Ganga. 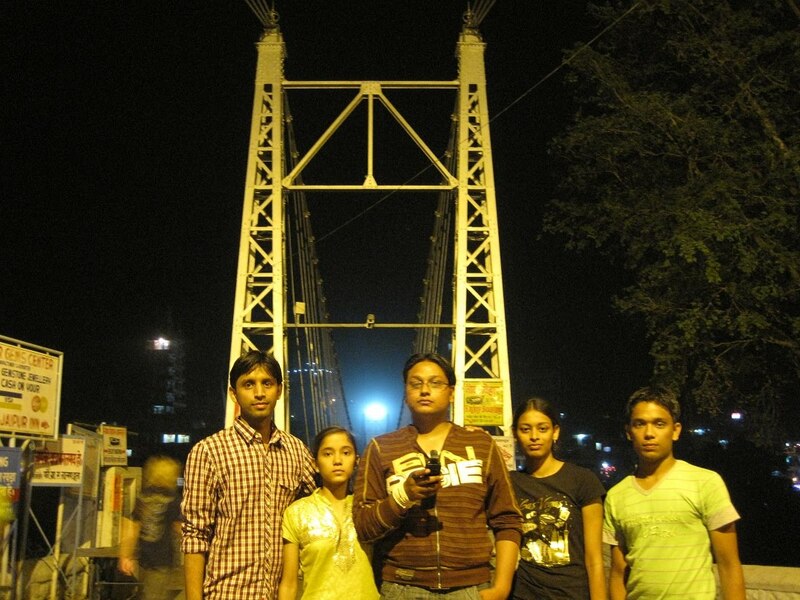 Lakshman Jhula: It is an iron bridge, made over river Ganga. It is said that Lakshman crossed Ganga on juite ropes between the place where this bridge is built. The bridge offers a magnificent view of the Ganges, greeting you with the cool breeze from the river. You can also feed the fish in the river below from the bridge itself, the fish gather at the place where people drop food for them. Similarly you can feed gram (chana) or peanuts to the friendly monkey nearby. Two temple at one end of the bridge, adds beauty to it surrounded by green mountains. One of them is famous Tryambakeshar Mahadev Temple (13 Floors). 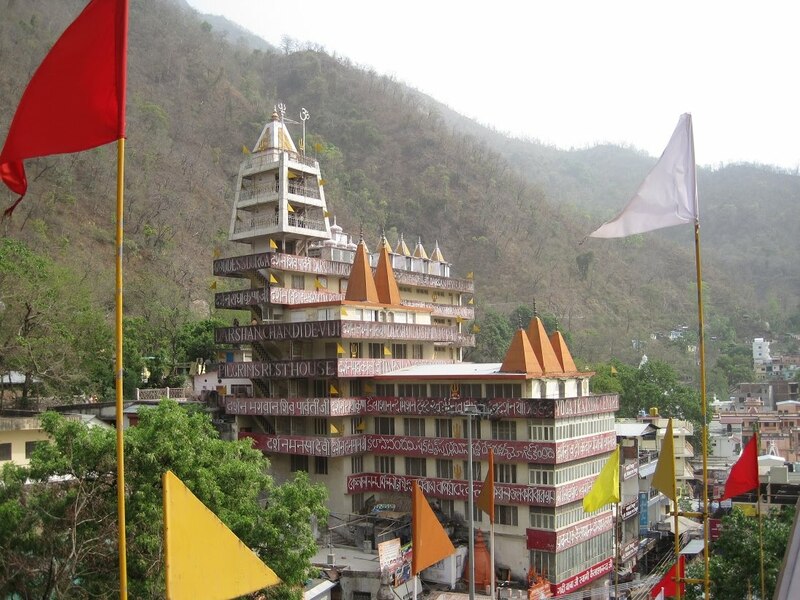 One can reach "Neelkanth Mahadev Temple" from here through trek or through zeep, situated 12 KM away. It is a popular place for rafting for different levels. It is also a center for hiking and backpacking. There are many holy societies, Ashram and ghats exist and developing. You can directly get auto from Lakshman Jhula or Triveni Ghat to Haridwar. You can also visit the Panch Tirth within Haridwar. At this closing note, Har Har Gange! Very nice details and post. 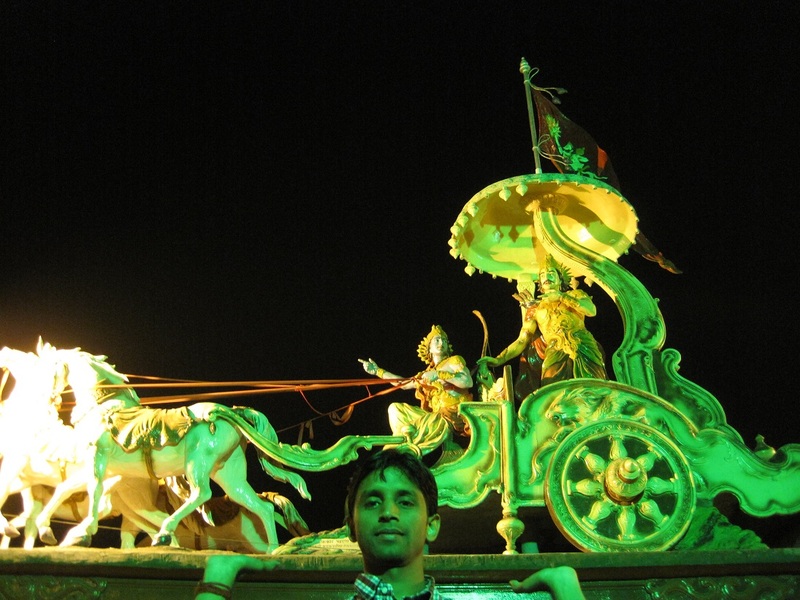 I just love this place - Ram Jhula & Laxman Jhula and temples nearby. I love Rishikesh, a must visit place for all in north india.